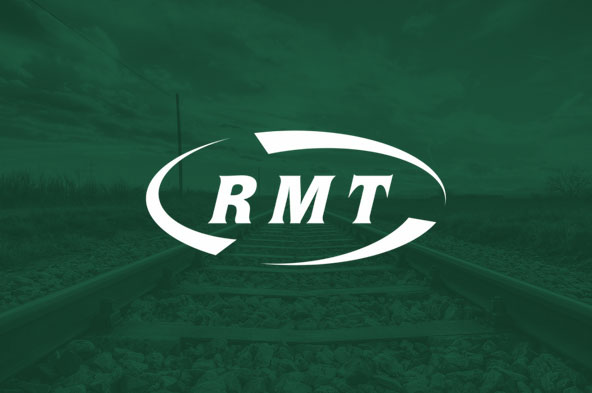 RMT pledges to fight Chris Grayling's plans to privatise Network Rail. “This is the Tory Government dragging the railways back to the failed and lethal Railtrack model of the private sector running infrastructure. There is no question at all that this plan represents the piecemeal privatisation of Network Rail which over a period of time will see both train operations and track run by the same bunch of companies who have failed so abysmally over the past two decades. “The idea that what Britain’s railways need is more privatisation is ludicrous. The introduction of the profit motive into infrastructure raises again the spectre of Hatfield and Potters Bar and the other grotesque failures that led to the creation of Network Rail. What the country really needs is a publicly owned railway run in the public interest free from greed and exploitation. Mr Grayling will be making his key note speech on "a rail policy for the 21st century" to the Policy Exchange at 6.30pm at 8-10 Great George Street SW1P 3AE on Tuesday 6th December. RMT will assemble outside the venue from 6pm to make the case in defence of the role of the guard and for safe trains for all across the whole rail network. The Transport Secretary will put the passenger at the heart of delivery across the railway by announcing future plans to bring track and train operations together. In a speech on 6 December, Chris Grayling will set out his vision for England’s railways. He will announce a change to the way the network is run, including the first new integrated rail operation, separate to Network Rail, to be created in decades. In order to deliver better, more reliable services he wants to see improved coordination across track renewal and train operations. We will improve the focus on delivering a service in the best interests of passengers through stronger and more closely aligned incentives between the management of infrastructure and the operation of train services. • The way the network is run separates train and track, that could be improved. Our railway is much better run by one joined up team of people. They don’t have to work for the same company. They do have to work in the same team. • We want to see closer working across the industry, to resolve problems more quickly – putting the needs of the passenger first. o For example; we will establish ‘East West Rail’ a new and separate organisation to Network Rail. It will lead to the creation of Britain’s first new integrated rail operation for decades. o For example; the new franchises due to be let on South Eastern and East Midlands will be an integrated operating team between train services and infrastructure. • Our railways need to adapt and change in order to be able to cope with the growth that they have already experienced and that which lies ahead. To meet challenges of the future it will take more investment, new ways of working, new ways of funding improvements, more joined up management. We can and will make this a real golden era for rail. The Secretary of State will announce the establishment of ‘East West Rail’ a new and separate organisation to Network Rail. It will lead to the creation of Britain’s first new integrated rail operation for decades. Its main task will be to secure private sector involvement to design, build and operate the route between Oxford and Cambridge as an integrated organisation. “East West Rail will provide a commuter route for the crucial centres on its route and will provide the transport spine for additional housing and business development in a corridor which is one of the Government’s priority areas for the future of our country. This new entity be an exemplar for closer working across the industry – putting the needs of the passenger first. That is why he will go further and bring together the operation of track and train across the rail network, announcing that the new franchises due to be let on South Eastern and East Midlands will have integrated operating teams between train services and infrastructure. And where franchises are let a ‘quality’ service for passengers must be at the heart of those contracts. “We need to change the relationship between the tracks and the trains on the railway…. “If our railways are to cope with the challenges of today and tomorrow it will take more investment, new ways of working, new ways of funding improvements, more joined up management … We can and will make this a real golden era for rail. We can transform the passenger experience. We can create opportunities across our society.